assisting students in the development of essential academic, college and life skills. The FYE Program is comprised of guided workshops, journaling activities, self-assessments, and participation in various campus events. The program is coordinated by a group of dedicated FYE Facilitators from the AU faculty and staff. Each of these facilitators has expertise in helping students find their passions and achieve success in college. These facilitators will be an important partner and point of contact for every new first year student at AU. 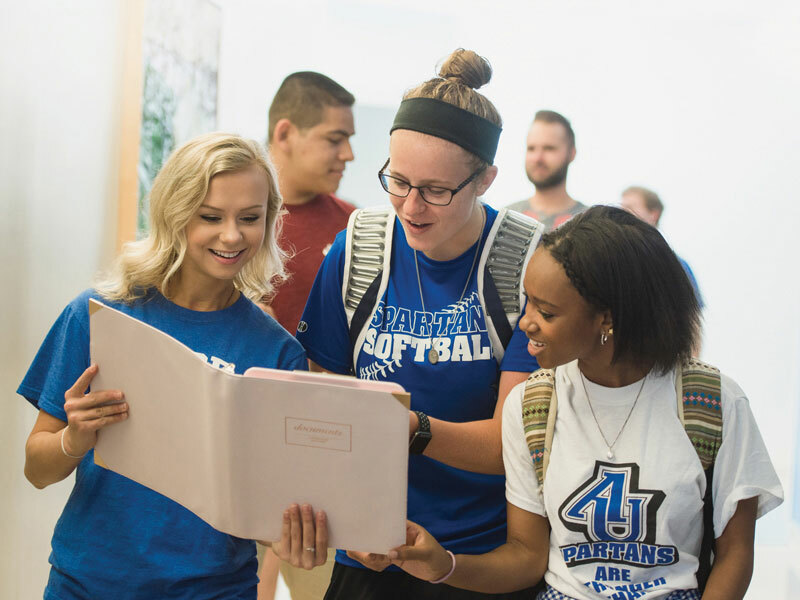 First Year students at AU will begin their FYE Experience at the AU4U and Welcome Week Orientation events, which occur during the summer before their first term. At these events, students will engage in workshops with their FYE facilitators. The program then extends until the end of that first term so that students will have access to their FYE Facilitator for guidance and advice throughout their transition to college. During their time in FYE, students will complete several activities that are meant to encourage reflection on their sense of purpose and personal goals. Students will also complete the Focus 2 Career Assessment, which is a set of surveys that will help them identify their strengths, interests, and values. In addition, this assessment will provide suggestions for possible career paths and major programs at AU. By the end of their experience in FYE, students will be aware of the critical personal skills and campus support resources that will help them meet success in college. They will also learn about opportunities to enhance the college experience outside of the classroom.